Atlanta is awesome. This week I attended Digital Atlanta off-and-on throughout the week. Yeah, it is a digital conference and does attract a lot of out-of-towners. The one thing I like about it is the pride in the city that I see come out of the event. All throughout the week, startups and entrepreneurs, agency personal, brand marketers and people who just want to learn all show up to teach and learn - most of whom are from Atlanta. There's a tech showcase that shows off all of the emerging companies coming out of startup hubs like ATDC and ATV. Granted, it's a long conference in terms of duration and nearly impossible to attend every event. That said, it's fun to meet people that you have either talked to on Twitter or have similar interests or skills that may live and work just down the road but would not have known about otherwise. Sure, there are a lot of competing companies in the city but when a company or group succeeds on a bigger scale, it feels like a win not just for them but for Atlanta in general. The community aspect I've found here has been amazing. Glancing through the #DigATL Twitter stream, I noticed this video put together by Nebo, an agency over on the Westside. They do great work and I glean great insights from their blog. However, this video isn't about them. It's about everyone in Atlanta. It's about why Atlanta is becoming a great hub for innovation and growth. 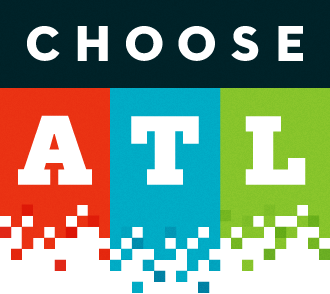 #chooseATL is worth the watch. It's amazing what can be done when a group of people take pride in where they are and what they have - while bringing everyone else up with them in the process. I've seen this transformation take place in my hometown of Owensboro, Kentucky recently (wow has it changed!) and watch it happen every day here. It's a lot of fun. For other Atlanta folks, what's your favorite thing about this city?